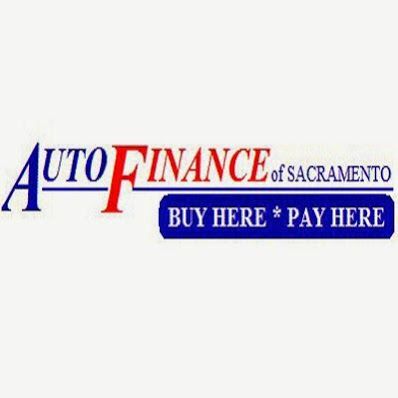 Auto Finance of Sacramento - Since 1991, Auto Finance has been a leader in providing customers in the greater Sacramento area with quality, reliable, pre-owned automobiles. Since 1991, Auto Finance has been a leader in providing customers in the greater Sacramento area with quality, reliable, pre-owned automobiles. By using “your job as your credit” we have helped thousands of people own their own vehicle and improve, establish or rebuild their credit. Nothing has proven this more than the large number of repeat and referral customers we have year after year. Come see our family, take a look at the large selection of vehicles we offer and let us help you today. Our finance program is designed to make car buying simple. The terms are easy and the payments are affordable. Typically, after your down payment, your monthly payment will be between $180 and $240 per month. Our average term is only 18 months. That’s right 18 months. You could own your own quality vehicle in a year and a half or less with payments you can afford! All vehicles come with a 30 day / 1000 miles limited power-train* warranty. We have also partnered with ASE & GWC and service contracts are available on most vehicles. In addition, we offer our customers a service that we feel is far better. As long as you own the car that you purchased from us, we will have your car repaired at “our cost.” Meaning, YES, you still have to pay for repairs, BUT, at our discounted cost. We can usually save you far more than the standard retail costs of repairs. We don’t make any profit on this service, but we do make loyal customers.